Is artificial turf giving kids cancer? The federal government has signed off on a new study that would look for a link. A new study has been commissioned to look into whether artificial turf fields that use tire crumbs poses a health risk for kids. The Obama administration has approved the federal study to examine turf fields used for football and soccer nationwide that use bits of recycled tires to provide cushion and traction, according to a UPI report. Democratic Senators Bill Nelson (Fla.) and Richard Blumenthal (Conn.) asked the White House to look at a possible link given that millions of children use such fields. The government needs to at least look into the issue even though there hasn’t been any link proven by any other studies, they said in a letter. The study will involve 50 federal employees and cost about $2 million. It will be performed by the Environmental Protection Agency, the Centers for Disease Control and the Consumer Product Safety Commission. 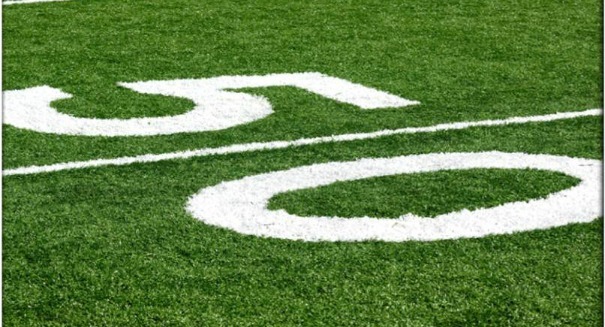 Artificial turf fields use “crumbs” made of recycled tires to provide cushioning to the players, but the problems is these tiny black balls get everywhere after a game. After a playing, you can find them in shoes, uniforms, and the hair. It’s a particular problem for goalkeepers, who are constantly getting on the turf to stop a ball, or for football players who get tackled all the time. Suspicions are rising that these little dots may be getting into cuts and scrapes, or into the mouths of players. Since tire bits contain carcinogens and chemicals, rumors are flying that cases of cancer are happening because these little dots. The push to have the government look into the issue started with soccer coach Amy Griffin, who noticed a number of kids who played goalkeeper were getting cancer, and wondered if the dots on the fields were to blame. She has compiled a list of 38 soccer players, 34 of them goalkeepers, who have come down with cancer — mostly blood cancers like lymphoma and leukemia, according to an NBC News report.